Hutchmoot 2012 – Day 3 Part 1 — The Tyranny of Dreams! Before I can talk about Saturday, Day 3 I need to make a confession. I am a failed Dreamer! That’s right, I found a Dream and tried to follow it to the rainbow’s end and ended up in the deepest, darkest shadow of depression of my life. In 1992 my pastor asked me to form a drama ministry at our church. I am a physician, but I love to write and had discovered a love for writing plays. But, to run a drama ministry? All he required was that everything we performed had to be original and had to be written by yours truly. After much prayer and soul searching, I accepted the assignment. In November, 1994 the ministry was going so well I branched out to fulfill my Dream. I wanted to be a Walt Disney of inspirational entertainment. I formed the Foundation of Inspirational Arts with six board members and a mission to help churches form drama teams, perform drama, make film, establish original music groups, and to publish inspirational material. I was on the way to fulfilling my DREAM! Yay! In September, 1995 it all went away. Not suddenly. But slowly, painfully, achingly it died. Truthfully it had died months before and what was left was a festering corpse. It ended with a bang, a large regional state drama festival organized by the FIA. But, by then I was being assailed by demands from my board; some wanting to be higher in the hierarchy; some wanting to know just what the heck we were doing; some questioning my DREAM. On a cool September Sunday evening, one of my best friends (our music minister) called and we had a heated exchange over the singing group we had formed. His words were piercing; painful; deflating. Couldn’t he see just how, how cool the FIA was? But, his words carried the sting of truth. The FIA was dead and I was a failure. I love to snow ski. It was like this. I was standing at the top of Aspen mountain facing two feet of fresh powder exhilerated to be at the top of the world. Suddenly, the snow beneath me shifted and I started sliding slowly down hill. 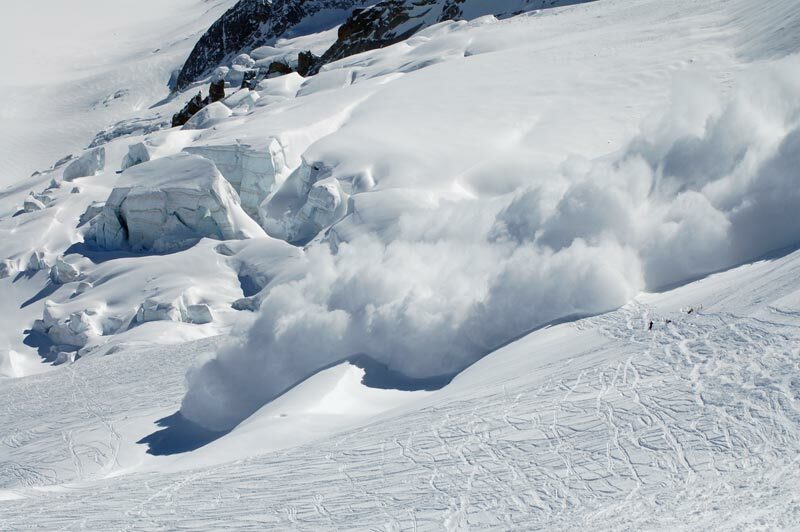 I tried to maintain control and realized as snowballs formed ahead of me and cracks appeared in the pristine snow that I was atop an avalanche. No problem. I’ll just ride it down. My legs began to wobble and my balance was askew and now, I’m hanging on for dear life, trying to keep my ski tips above the snow as it tumbled faster and faster beneath me and then it happened. I fell and the snow pummeled me like a set of icy fists. My skis popped off. My goggles flew away. There went my hat, my gloves and now, I’m just hoping I survive this, that I was alive when the tumbling and the pummeling and the pain stopped. I found myself at the bottom of the mountain in a dark valley bruised, broken, all of my equipment scattered up the mountain. That is what happened that night and I found myself prone in the middle of my bedroom floor sobbing uncontrollably. My DREAM was gone! Perished! My hands were empty. I still had my family and I still had my job. But compared to my DREAM? We are made in God’s image. God is the Creator. He has made us to be creative. Creativity comes from His inspiration and soon we visualize the end product of that inspiration. In American parlance, it is a DREAM. In reality, it is God’s inspiration for the work He wants us to do. It is the work of God’s hands that yielded the universe. And, it will be the work of our hands that fulfills God’s inspiration in us. The DREAM can become an idol. But, when we remember that the inspiration flows from God, we walk with God; we worship God; we keep God between us and the final product. We can only be creative for God when we are sitting at the foot of the cross, not on Pilate’s porch! Say YES to God Ideas! This concept really hit home with me that night. As I said earlier, just two days before I had seen one of my DREAMS die when a five book contract was taken away. But, God had already laid his work for me right in my path. I literally ran head on into it at the International Christian Retail Show. And here is a truth. If we are paying close attention to God, the path we need to walk; the work we need to do; the creating we need to unleash will be placed right in our way. But, we only see that truth if we are walking daily with the Truth, the Life, and the Way. Just as no man can come to Father except through Jesus, no artist can create a living canvas that reflects the love of God unless we come to that THROUGH Christ. I can do all things I DREAM of? No, I can do all things that are my wonderful IDEAS? No, I can do all things THROUGH Christ! I can’t do things THROUGH Christ unless Christ is right there in front of me; continually; always; living; breathing the breath of creativity into my nostrils. Thank you, Phil for your painful honesty. It is something we all need to hear. I’ll have a few last minute details on my last post about Hutchmoot 2012 tomorrow. But, for today, look for the God ideas instead of the good ideas! What brought you to Hutchmoot? Two questions every attendee asks at Hutchmoot, even if you know the face and can’t quite remember the name and the details associated with that name. And, this year, there were 86 more of us to meet than before. My son, Sean, tried to succinctly convey his job. By the third day, he had it down to a finely tuned summary. You see, while completing his masters degree in media studies, he became an intern at Texas Impact. In Austin, this organization is a political action advocate for inter-faith issues. They monitor issues coming before the Texas legislature (meets every other year) and then posts those issues pertinent to faith based living on their website. They follow various religious traditions and their efforts to change culture through their influence on local government. Maybe. I think I got that right. Bottom line is that Sean works on the website and social media and video editing and video capture and is now the main tech guy for Texas Impact. I have watched him grow and mature as he has dealt with the unhealthy interface between politics and religion. And, it is very unhealthy. Coming to Hutchmoot, Sean had a couple of goals. Spend time with his Dad (woohoo!) and to see what God had to say to him. You see, Sean is an excellent writer and storyteller and is insanely creative. But, he doesn’t write books or stories. He writes notes and composes his thoughts into the most incredible conversations I have ever had with ANYONE. Sometimes, I wished had recorded one of our conversations and had it transposed so I could remember all the cool stuff he said. Yeah, my Sean is one cool dude and I am so proud of him. But, Sean is not without his struggles. He and his wife, Jennifer, are struggling with some personal issues related to his church in Austin. I can’t go into details. These issues are substantial and deep and very, very important to them. But, God spoke to Sean in so many ways at Hutchmoot. And, he heard something totally different from what God said to me. Imagine that? I think this is the singular most important thing to understand about Hutchmoot. It is not only where we come to meet other Hutchmootians in one of the grandest and coolest koinonias in the universe. It is also where we come to meet with God. God speaks in the midst of this incredible gathering — uniquely and individually to each one of us. And, he spoke to Sean in ways only Sean can share with you. But, there is one last event on Friday I must mention. There were many smaller moments through the lunch and afternoon. One encounter was with a former employee of one of my current publishers who confirmed what an incredible team is now in place compared to a few years back. Again, I can’t go into details but it was another “chance” encounter that God led me to in order to reassure me that my updated book on depression should take front and center attention RIGHT NOW! Friday night. Sean and I followed the new iOS6 map app on my iPhone 4Gs and it worked perfectly, thank you very much! We pulled onto Lipscomb University campus and I was stunned. I did not know this place existed. As we walked across the campus from the parking garage I felt the cool wind on my face and there was God again, speaking, whispering in his quiet manner, surrounding both of us with His undeniable Presence. I wanted to go back to college again! I wanted to start afresh, anew at this campus filled with soaring red brick edifices and bustling, smiling students and a fresh appreciation of the importance of LEARNING in such a God centered environment. We went into the auditorium to await this night’s debut of Andrew Peterson’s “Light for the Lost Boy” concert. As Sean and I waited we continued a conversation about a mutual acquaintance who had lost his faith. I don’t mean had doubts. I’m talking about moving from Theism to Atheism. How did this happen? How could someone who has been a professed Christ follower for most of their life walk away from God? Folks, it is a simple and short journey from our doubts to forgetting the One who created us. How quickly we forget our blessings! How quickly we turn our backs on God! I know. It happened to me. I will talk about my crisis of faith in a future post. But, my heart was so burdened for our friend. What could either of us say? What could we do to convince him how wrong he was for just tossing away his faith in God? Now, I am an apologist. I’ve studied Christian apologetics now for 14 years. Apologetics was an answer to my crisis and it has given me a rock solid faith. Or has it? Hadn’t I just gone into a dark depression over this book deal? How quickly had I forgotten God? Pretty darn quick! My point is that providing logical arguments and sound evidence is not the answer to those who leave our faith. The leaving is one of questions and doubts that are deeply imbedded in our quest for Eden. It is born of utter deep pain. 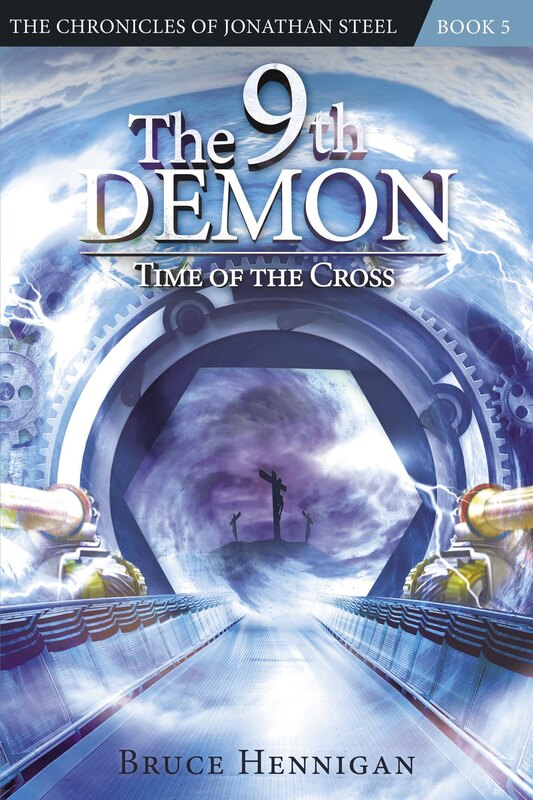 While at a book signing for my first book, “The 13th Demon” at a book store in Austin, Texas a middle age woman asked if the book was appropriate for her teenager grandson. “He’s lost his faith. He is now an atheist. What can I do?” Now, my internal apologist wanted to take over but instead I sensed the pain. I asked her what her grandson’s life was like. What was his relationship to his father like? What came out was a sorrowful story of a broken relationship. You see, we look at God many times through the lens of our parents. We stack them up against God and when they let us down, we transfer that disappointment to God. As with this woman’s grandson, I feared the loss of faith with our friend was at the expense of a very important broken relationship. More on this later when I post about Phil Vischer, the creator of Veggie Tales. If you have not listened to Andrew Peterson’s new album, you have missed out on one of the truly great works of music and lyrics in the past ten years. Yes, it is that incredible. You must listen while reading the lyrics until they are firmly seared into your mind. Andrew kicked off the concert introducing Caleb, the band composed of two of Steven Curtis Chapman’s sons (He was in the audience about two rows behind us). Then, he came back from a break and began the concert. If you have ever had the joy of sitting through “Behold the Lamb of God” Christmas concert you are well aware of Andrew’s ability to carry a concept from start to finish. Where BTLOG takes us from Genesis to the Resurrection, “Light for the Lost Boy” carries us from birth to death; from innocence to disappointment; from lostness to grace; from the Big Question Mark to the Big Exclamation Mark. As the songs unfolded before us, I wept, I smiled, I hugged my son, I laughed, and I exulted in the utter sheer joy of being in God’s presence. For, Andrew encapsulated my entire journey of faith in those songs. My lostness in the woods wandering but sensing a hidden companion. 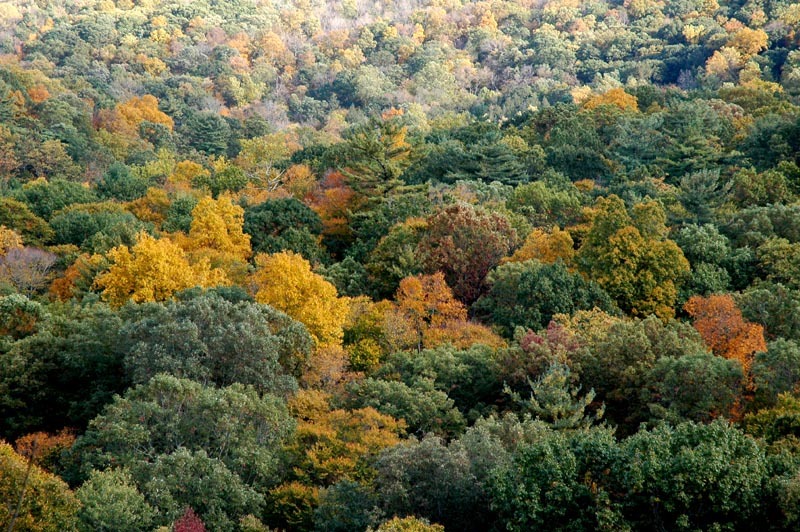 As a child, I wandered the pasture and woods of our 62 acres listening to the stillness, the quiet, the thunder. I remember one startling moment after my dog, Rusty died when at the age of 10 I climbed the “tall tree” in our front yard higher and higher struggling through the branches, tearing my skin, bumping my head until I reached the giddy top of the tree swaying and dancing in the evening breeze and I wedged myself into those small top branches and gazed out over a sea of trembling, weaving green tree tops stirred by the hand of God and I felt Him there, felt His presence wrapping me up in love and understanding and saying, “My son, I feel your loss; I know what it is like; you lost a pet; I lost a Son.” I was there in that tree in that moment in that concert and God stirred within me the memory of His presence. It was shortly after that incident in my life that I surrendered all to Christ. 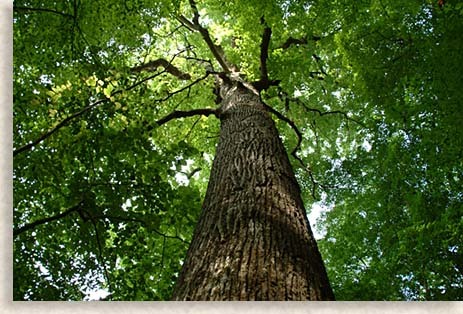 There were many journeys to the top of the “Tall Tree” in later years. Many moments with God at the top of my world before my innocence and trust in this world died and I realized it is irrevocably broken and bruised. No Eden. No Garden. Just this — living on the edge of Theism and Atheism. Hutchmoot 2012 Day 2 — Part 1 Into the Shadows! Friday at Hutchmoot. First full day. Sean and I made it for breakfast and sat once again under the tent outside in the cool morning air. We both sipped lattes from the most excellent coffee cart upstairs. What should we do? There were multiple sessions to choose from. Frankly, my first choice seemed untenable to me now. “Recovery Through Song” would feature Eric Peters, Jason Gray, and Andy O’Senga talk about emotional issues like depression and how song helped them cope. I was sliding into depression even as I sipped my coffee. I know it was silly. So I had just lost the remainder of my contracted books with one publisher the afternoon before. So what? My plans over the past 12 years would come to a stop unless I could somehow get my second book onto the New York Times Bestseller list. Unlikely in this age of crazy quilt marketing. How do you market “Christian speculative fiction” to Christian book stores? Horror, science fiction and fantasy get lost amongst the Amish romances and the female lead thrillers — all good books but not likely to attract the demographic that liked speculative fiction. There was glimmer of hope for me. Just weeks before I had been led by God to walk into a meeting room at the International Christian Retail Show, the largest Christian artistic trade show of the year. There, in a matter of breath taking moments I had been offered a new book series deal that I cannot talk about in detail. But, guess what the subject of that book deal would be. Depression! Man was I going to nail that book now! I had the biggest opportunity in 12 years to really give into the raging beast that was growing darker by the moment within my crushed heart. Want to know more about depression? Give me a few more hours and you’ll see it raw and bloody before you.That was why I really DIDN’T want to hear a session on recovery. It might give me hope! And hope was my enemy right now. I wanted the deep, dark shadows to swallow me; I wanted to wallow in the pain and loss; I wanted the sweet, sweet oblivion of not caring a whit about the next breath I would take; I wanted the darkness to take me again as it had in 1995. There is a difference now from then. My son. Sean was there gently encouraging me; never nagging or telling me to “just get over it”. He just loved me. And, my friends, that is what I needed most in that hour. So, I followed him to the session on recovery. First, let me tell you that I cried through most of the session. When Jason Gray shared the night he couldn’t get that beam in the attic off his mind, I was almost breathless with anxiety. There was that beam up there, he said. And, I kept planning exactly how I would put the extension cord over it and how to tie the knot. For hours he could not get that off his mind. Would anyone miss me when I’m gone? That lie! Okay, God, I get it. I still have Hope. It never left me. I was the one who walked away into the shadows. I’m coming back into Your light. Eric Peters talked then and tore me asunder with his song, “Voices”. We choose to love the things we hate us most and rest upon the lies! By now, I am reeling, dizzy, sweating, awash in God’s merciful truth. And, this was the first session of the first full day! As I stumbled out of “Recovery Through Song” I knew beyond a shadow of a doubt the following. My dream of becoming a bestselling Christian fiction author was now put on hold. Sure, my second book of “The Jonathan Steel Chronicles” would be coming out within the month and I would do whatever it took to promote it. But, as far as my daily writing, right now and for the short term forseeable future I had to focus unflinchingly, unfailingly, without distraction on the update to my depression book. This is what God was telling me. There is an epidemic in this country of stress, anxiety, and depression. God had laid in my lap the most awesome opportunity to write a new book on depression fueled by my own personal struggles, my own wisdom garnered in the valley of the shadow of death, my own walk with God. I heard the TRUTH and guess what, the TRUTH set me free! If you want to know more about Eric Peters’ excellent album, “Birds of Relocation” check out this link. If you want to know more about “Conquering Depression” go to this link. I still have a limited number of promotional copies of my first book, “The 13th Demon: Altar of the Spiral Eye” and you can get a FREE book for no obligation by filling in the info below. I’ll send it to you FREE! Yeah, Hutchmoot is like that. Well planned and well co-ordinated thanks to the ever awesome hard work of Pete Peterson. But, exactly what each person is going to take away from the conference is uncertain. At least to us. Not uncertain to the One who spoke the world into existence, the One who holds the universe together, the One whose Story is unfolding all around us, the One who invites us to be a part of that Story. An hour before my son and I left the hotel for the conference I received the email I had been dreading. One of my current publishers was “releasing” me from my contract. Just an hour away from the most wondrous creative conference of the year and I get this bad news. But, you know what I thought? Instantly, I knew that God had something very specific to reveal to me through Hutchmoot. God is in control. This was no surprise to him. In fact, this development was the next plot point in my story. He wrote it. My job was to play my part as truthfully and as faithfully to the Author as I could. So, it was with heavy heart and a growing sense of depression that Sean and I set out for Redeemer Church for the opening of Hutchmoot 2012. The dark clouds were gathering and blotting out the shining light of the sun that I had hoped would illuminate the next four days. I felt my world contracting and squeezing down, pressing in on me with the bitter oppressive realization that my Dream was dying. Twelve years of hard work culminating in a five book contract were now a total and complete waste. God, where are you? Why? I was understandably subdued at the most excellent dinner Evie had concocted for all of her “so many rabbits!”. Sean and I sat outside under the tent at an empty table waiting for others to join us. No one joined us. I guessed it was for the best. I wasn’t very good company. But, it gave Sean and I a chance to talk for over an hour. He lives in Austin, Texas and I live in Shreveport, Louisiana. We seldom get to see each other and already the past twenty four hours together had been fantastic. Now, Sean sensed the need to comfort his father. And, I sensed the need to pull out of my funk and make the time we had together the best it could be. The food helped. That evening, Hutchmoot 2012 kicked off with one of my favorite events. The Square Peg Alliance, the alliance of independently minded singers and songwriters that Sean and I had grown to love performed for us. It was a totally random, unplugged affair filled with gaffs and laughter and wonderfully real performances. As the songs filled the air and swirled around us, I felt my mood lightening. Just a bit. It wasn’t the end of the world. Things would get better. I would move on with my books. God was in control. I slipped outside for a moment to call my wife, Sherry. She was in Chattanooga staying with friends of ours. I had told her briefly about the email and we talked for a while as I wandered around in the still, cool night outside of Redeemer Church. I went back inside and sat on the back row. In the row in front of me were Andrew Peterson’s three children. His two sons sat at the end of the row listening with intense concentration to the music. His youngest daughter, Skye was stretched out on the seats with her head in her mother’s lap. She was the typical young girl, twitchy, bubbly, moving all around, staring at the ceiling, mouthing words, perhaps even bored? Andrew Peterson took the stage to sing us the last song of the night. He asked if Skye was in the room. I watched in wonder as Skye’s eyes lit up and she sprang up from the seats with childlike energy. She bounded up the aisle to the stage. She joined her father to sing a song. She joined her father! I suddenly saw a ray of hope. I was here with my son. And, Andrew Peterson would be singing a song from his latest album “Light for the Lost Boy” about a son and his father. Suddenly, a framework appeared, suddenly the plot thickened, suddenly I saw that God had planned all of this. I was here with my son for a reason. All was not lost. 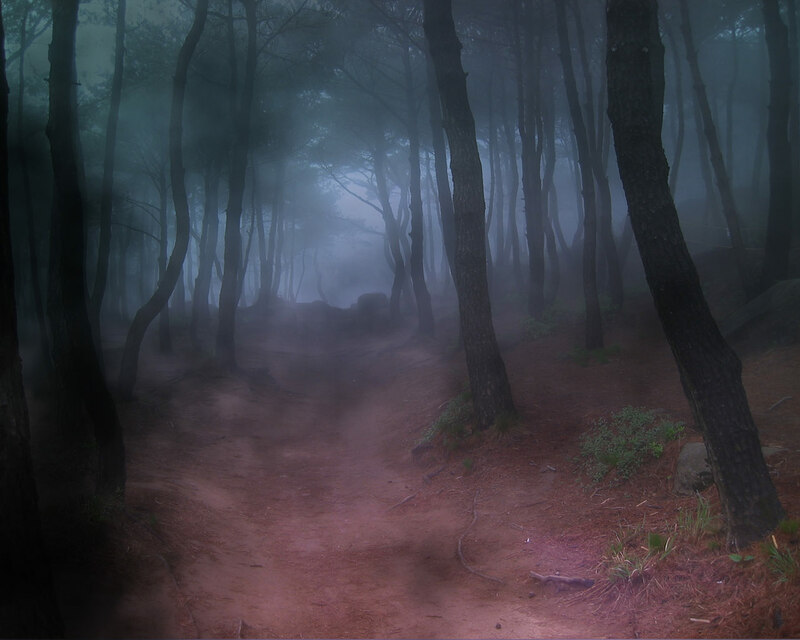 I was not wandering through the misty woods alone. There it was. The refrain for my first day, closing up my depression and despair into a simple realization that I am not alone and although I am now wandering through the woods, if I stop and gaze carefully into the fog and mist and listen with intense concentration I can hear the voice of Jesus calling me His own. After the concert, Sean and I hung around and met four guys from San Diego and bless his heart, Ryan lifted my spirits to the heavens. We talked for about thirty minutes just standing there in the aisle while the singers broke down their instruments. Ryan, you will never know what that conversation meant to me! Never! 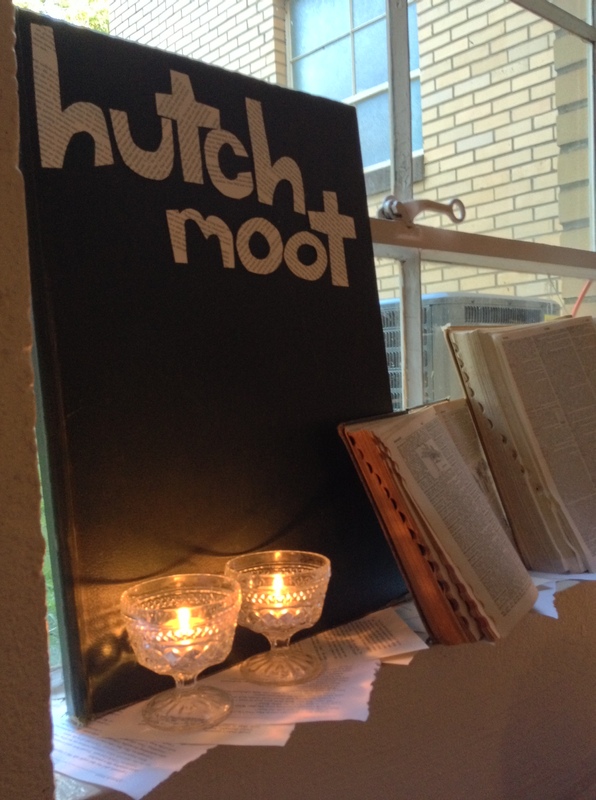 You helped me refocus and repurpose Hutchmoot. Jesus was speaking and I needed to listen. Just a reminder that I still have a few books left for the free giveaway of “The 13th Demon: Altar of the Spiral Eye” in preparation for the release of “The 12th Demon: Mark of the Wolf Dragon” on October 16, 2012. If you want a free book just fill out the form below and there is no obligation. There is something that Mike Duran is very, very good at. Like in his “The Resurrection” Mike Duran has the ability to take the “Christian point of view” and tweak it ever so slightly to make it, well, slightly oblique. In “The Resurrection” Mike Duran chose to push the boundaries of our Biblical understanding of spirits and ghosts and create the “Cellophane Man”, a frightening ghostly figure that haunted the life of the main character. Mike even included an additional addendum at the end of the book discussing the theological underpinnings of such a possible creature as a ghost. In “The Telling”, Mike Duran goes one better. He turns the concept of the fallen angels on its head, bringing in “dark angels” with decidedly un-Biblical powers in addition to those every Christian would anticipate. And here lies a challenge that is at the heart of all Christian Speculative Fiction. How far does an author go to present a story that appeals to the secular audience and yet conveys the “truth” of Christianity I mentioned on Day 1? Or, should a Christian author write a story that can ONLY be enjoyed by Christians? Mike has talked about this challenge on his blog at length and the reader can visit his blog for more information on this “controversy” in Christian fiction. In “The Telling”, Mike Duran pushes the accepted abilities and identities of the fallen angels slightly beyond the literal scriptural description. Some Christians may find this troublesome. In “The Telling” we hardly ever hear the name of Jesus or mention of God and these “dark angels” seem to be able to possess anyone, regardless of their walk with God. I say “seem to be able”. For, if you pay very close attention, Mike never crosses the line. There are moments when the reader believes that the darkness will triumph only to fall to the presence of Good. What I like most about this book is its ability to appeal to unbelievers. I suggest any reader purchase a copy and pass it off to their skeptical friends and family. It reads like a fast paced supernatural thriller that is not connected to Christianity. In fact, there is a North American Indian character that one could suspect represents the worldview of animism as we see in ancient North American Indian religions. But, the overarching reality of this story is that God is present. Good triumphs over evil. Satan’s minions will flee when confronted with a Christ follower. In the end, the story is one of redemption and love. And that, my friends, is what all of us should celebrate. I highly recommend “The Telling”. Powerful, creepy, scary, edgy, and filled with wonderful characters and fascinating locales. 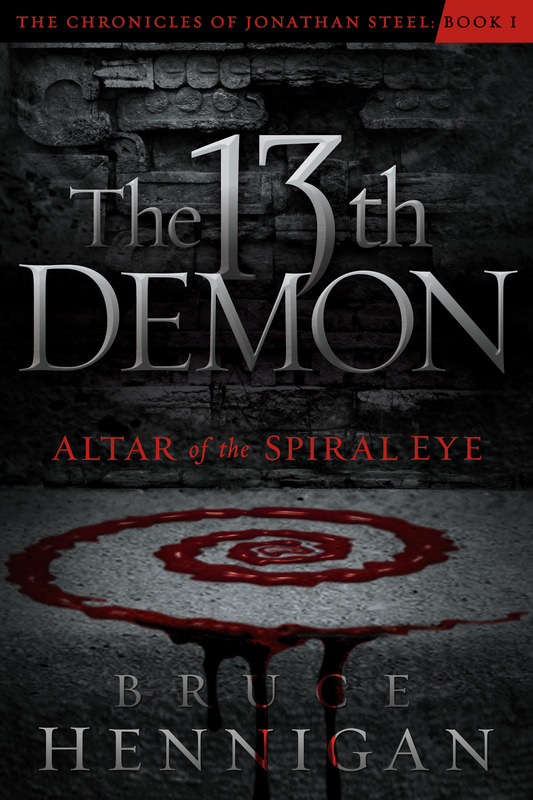 Once again, I want to remind everyone that I am giving away a limited number of my book, “The 13th Demon: Altar of the Spiral Eye” in anticipation of the launch of my second book, “The 12th Demon: Mark of the Wolf Dragon” on October 16, 2012. If you would like to receive a FREE copy with NO obligation, just fill out the form below. Marvale Manor — an old hotel that has been converted into as assisted living center. This is where Annie, the grandmother to Tamra, has noticed that people are NOT what they used to be. Something is up in Marvale Manor. And, that something started down in the maintenance area where a young man with a really bad headache has opened his mind and his heart to the darkness around him and is searching for his lost notebook. Lanrel House — Not far from Marvale Manor, this is where the nursing home residents live. It is here that this young man goes to see his father. Which young man? Read the book to find out. For, his father is the key to everything that is transpiring in the town of Endurance. Silverton — The town that once thrived after the discovery of silver in the mine overlying “Otto’s Rift”. Over a century ago, a terrible tragedy befell the entire population of region. It was the Madness of Endurance! The Book Swap — a house open to anyone who wants to trade one used book for another. It is here that Annie hopes her granddaughter, Tamra, can persuade Zeph to lend her a certain book containing information that may be the key to the “madness” of Endurance. The Vermont — once a theater that thrived, it is now shuttered and closed. But, inside this building is a secret that will prove to be the beginning of the salvation of Endurance. Shiloh — A small church where as a young boy, Zeph practiced his “telling” to a willing and unsuspecting audience, often with surprising outcomes both good and bad. The Black Pass — Tall black pillars on either side of the road that leads into Endurance and nearby is Dawson’s Rut, home of a roadside souvenir shop. Zeph Walker will see an ancient artifact that will seal his fate and reveal his destiny! All of these interesting names reside inside the town of Endurance. But, the one place that is the most important to this story is Otto’s Rift. Here, forces of darkness are gathering, seeping out into the world of light and goodness, gathering their strength and increasing their numbers for a terrible onslaught on the world of man. I will not reveal more of the plot for to do so is to ruin the story. Mike Duran has created a fascinating and very real landscape for his tale of impending doom. I highly recommend the book, “The Telling”. Follow the map to a suspenseful and frightening story. Tomorrow, I’ll conclude with my thoughts on the spiritual side of Mike Duran’s story. Remember, if you would like to receive a FREE copy of my first book, “The 13th Demon: Altar of the Spiral Eye” fill out the form below. I still have a few books left and there is no obligation! Okay, so “The Telling” — an excellent and very bold entry in the genre of Christian speculative fiction by one of the premier writers and bloggers out there, Mike Duran. But, before I get into my review of this book, let me say something from my heart. The term speculative includes the various forms of fantasy (urban, epic, dystopian, etc. 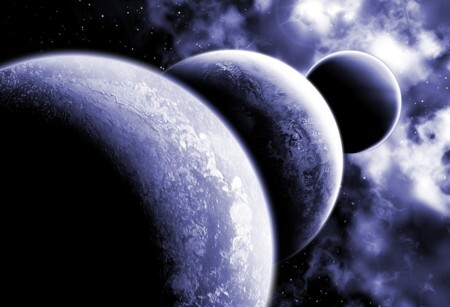 ), science fiction (space opera, techno, cyberpunk, etc. ), and supernatural suspense or thriller (terms for types of horror). Christian speculative fiction is written by a Christian, but not everything written by Christians qualifies as “Christian.” Rather some element of the story needs to be distinctly connected with what it means to be Christian. Perhaps the characters are predominantly Christian. The plot might revolve around something distinctly Christian. Or the themes may relate in a specific way to the Christian faith. And here is the point that separates Christian fiction, I believe, from all other fiction. Christian fiction speaks the truth about God. Other fiction can speak the truth about morals or the way the world works or what makes a person love or hate or live on the edge. Other fiction might be silent about God. Other fiction might speak a lie (though undoubtedly the author believes that what he’s written is true) about any of these things. Only Christian fiction speaks the truth about God. I have spoken several times on the current state of Christian Speculative Fiction at, of all things, apologetics conferences (Apologetics is the field of the defense of the truth of the Christian faith). I have often mentioned that Michael Hyatt, Chairman of the Board of Thomas Nelson, once commented that Christian Speculative Fiction was the fastest growing genre in Christian fiction. Maybe I’m overstating this, but I have watched as very good, in fact, excellent authors of CSF have fallen by the wayside in the past two years because of poor sales in this genre. This is very puzzling if CSF is the fastest growing genre! I don’t have an answer for why sales are poor. Because, books we have reviewed on this blog tour, even those considered weak, have all been far better than most mainstream Christian fiction. Of course, I am biased since I am also an author of CSF. I’ll touch more on this later, but I would ask you, the reader of this review, to go out today and purchase a copy of “The Telling”. Show the publishers that this genre is viable and alive and, dang it, necessary! If CSF goes away, we will all be awash in a sea of blushing Amish brides and morally ambiguous lawyers and serial killers. Not to say there is anything wrong with those sub-genres. But, CSF pushes the envelope; pushes the mind; stretches the heart; and challenges at the intersection of our faith in Christ and its friction with the real world of evil and postmodernism and secularism. We desperately NEED Christian Speculative Fiction. Go buy it! Now! Today! And, start with “The Telling”. I enjoyed Mike Duran’s “The Resurrection” and in my presentations I use it as an example of an excellent utilization of apologetics in CSF. And so, I was eagerly awaiting his second, and unfortunately for now, last book from Realms. (See above diatribe.) I did not know what to expect and Mike Duran has caught me off guard. He shocked me and kept me guessing far into the book. Let me say this. Mike Duran is not afraid to stretch the boundaries of theology and our interpretation of the Bible. His depiction of the forces of evil in this book are some of the most creative and imaginative I have seen in a while. And, his interpretation is believable and did not offend me in anyway. But, I did not read this book to underscore Biblical inerrancy. I read this book to be challenged and to be entertained and it delivered on both counts. And, I believe it is the job of those of us who write CSF to do just that. Challenge the reader. What do you believe as a Christian? Why do you believe it? Let me show you a world in which we push those boundaries. Did I make you uncomfortable? Good! Now, figure out why? Test your own belief system and see if it can withstand similar scrutiny. I will not go into too many details on day one but I will say that I enjoyed “The Telling”. It creeped me out, for want of a better phrase. And, it presented the horrendous nature of Lucifer’s minions in a way I will not soon forget. And, that is as it should be! We should not forget that evil is alive and well and living AMONG us. Perhaps even in our nursing homes and assisted living facilities! Here is how it begins. Zeph Walker has a gift. He calls it “the telling”. During his childhood, this gift was miraculous and was soon abused by his parent for the sake of fame and money. Then, something horrible happened to Zach and he turned his back on his gift. It is now years later and he is living in the small town of Endurance. It is a quiet, lazy town on the edge of Death Valley. But, appearances are deceiving and the first event that sends Zach back into the battle with evil is the discovery of a dead body remarkably identical to him in almost every way. What is going on? Soon, we meet Tamra and her grandmother, Annie. Annie lives in Marvale Manor, an assisted living facility. Annie is convinced that something is very wrong with her friends and neighbors. They are changing. And, she is not referring to the usual changes of aging. These changes are far more sinister. Are Annie’s suspicions warranted or is she merely falling prey to the paranoia of senility? Tomorrow, I will do deeper into the numerous characters Mike Duran has developed for this story and the plot. On day three, I will discuss his “theology”, if you will and his unique take on the denizens of hell! Just a Reminder: I am giving away a limited number of FREE copies of my first book, “The 13th Demon: Altar of the Spiral Eye”. Just fill out the form below and I promise I will not flood you with email! All I ask is that if you like the book, purchase a copy of the second book in my series, “The 12th Demon: Mark of the Wolf Dragon” releasing on October 16, 2012. FREE copy of “The 13th Demon”! On October 16, 2012 the vampires arrive! “The 12th Demon: Mark of the Wolf Dragon” will be available on that date. But, you may not know much about Jonathan Steel or his encounter with “The 13th Demon”. So, I am going to put some of my promotional copies of “The 13th Demon: Altar of the Spiral Eye” to good use. I have a limited amount of copies and I will send you a copy for FREE! No strings attached. I will NOT use your contact information for anything but to mail you a signed copy of “The 13th Demon: Altar of the Spiral Eye”. All you have to do is to fill out this form and send me your mailing address. I will send you a copy of the book as long as my copies last. All I ask is that if you like the first book, on October 16th buy the second book! 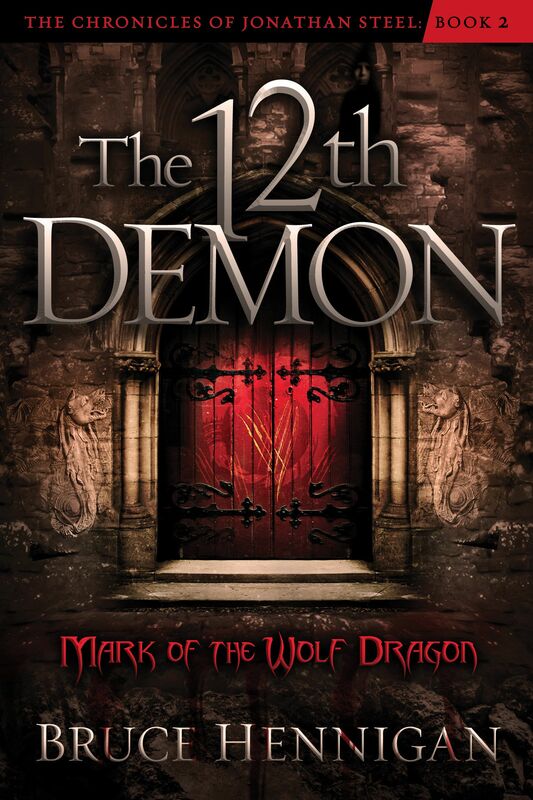 I’d love to see “The 12th Demon: Mark of the Wolf Dragon” hit the best seller list and prove that Christian fiction is for real. This book is an alternate view of vampires and is different from any previously published view that I am aware of. It is an inspirational answer to the Twilight series, the vampire diaries, and so on. So, let me hear from you and see if you can get your hands on a FREE copy of the first book in the Jonathan Steel Chronicles. Power to make a man Undead! Power to build an Army of Monsters! Power to unleash Vampire Majick! Join Jonathan Steel as he battles the 12th Demon in a battle between the power of Unnatural Blood and the Power of The Blood that Redeems! It is a battle that has raged for millennia; a battle to unleash an army of monsters on the unsuspecting world; a battle between the ultimate forces of good and evil. Can Jonathan Steel save Josh Knight from the Vampire’s Feast? 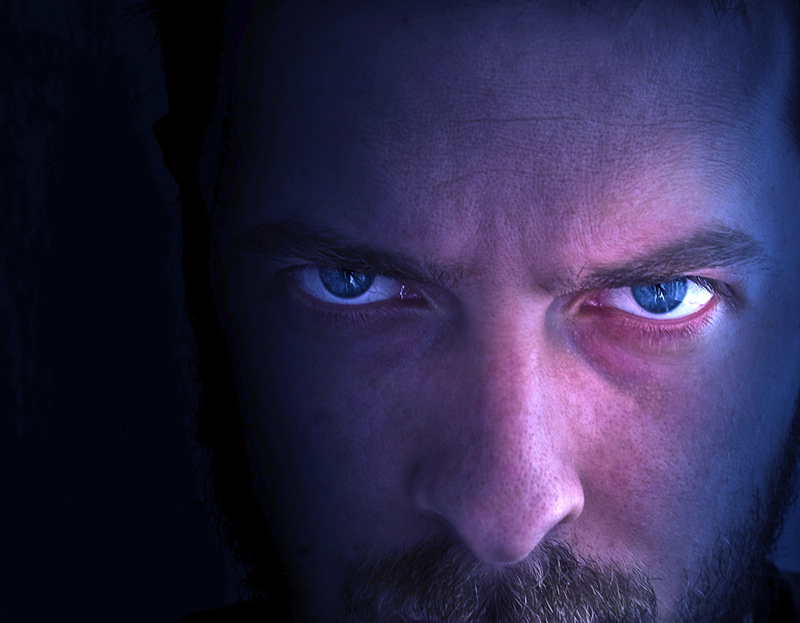 Can Jonathan Steel elude the deadly attacks of the assassin, Raven? Can Jonathan Steel defeat Vivian Ketrick and Rudolph Wulf, the “12th Demon”? Find out in “The 12th Demon: Mark of the Wolf Dragon” available now for pre-order and in stores on October 16, 2012. The Event is coming and soon, we will face an army of Undead! 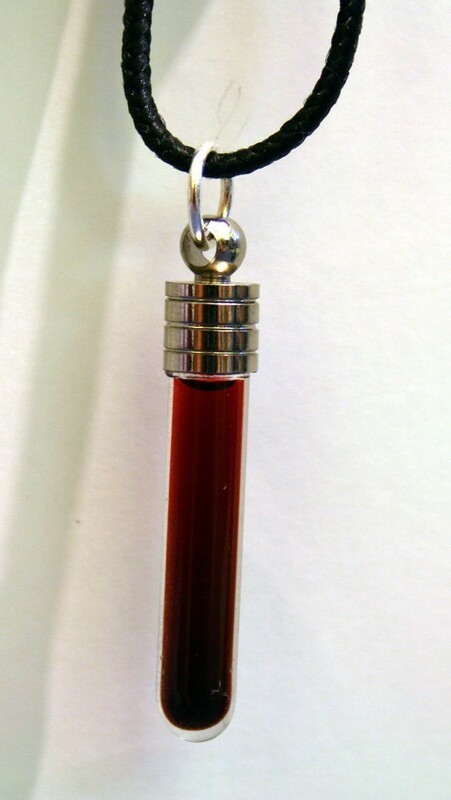 Unleash the Power of the Blood!